In Episode 2 of The Montessori Leadership Podcast, Jono Landon, founder and CEO of Hubbli, provides a high-level overview of eight important metrics that drive business growth for Montessori schools. This is the overview episode for an eight-episode series to follow that dive deep into one of these metrics, providing actionable advice and tips that will help you move the needle for each metric. The episode kicks off with Jono providing an explanation for why all Montessori school administrators should be proactive in tracking and impacting these metrics. Jono closes by addressing the overwhelm that is inevitable when faced with all eight of these metrics at once, and providing guidance on which two metrics are the best place to start for most Montessori schools. 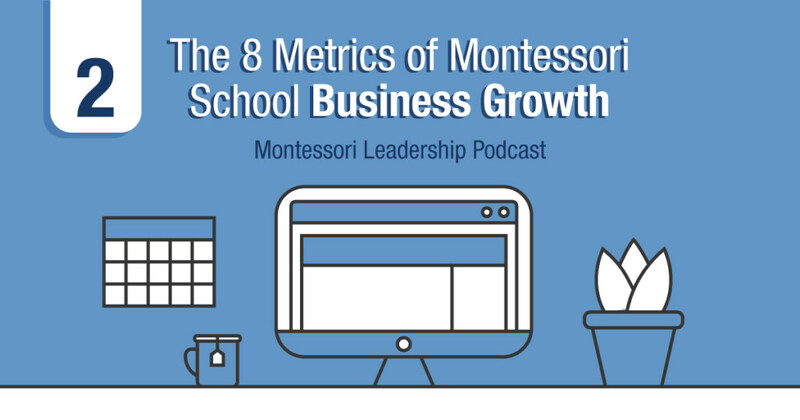 The next eight episodes will each cover one of these metrics for Montessori school business growth in depth. So please subscribe to the show so that you don’t miss any of these episodes. You’ll get a new one every two weeks.